As the daughter of an anthropologist, Sophia Siskel '99 spent many afternoons under the dinosaur bones at Chicago's Field Museum of Natural History, contemplating the mysteries of the past. Decades later, she still draws inspiration from the Field, but now her vision is focused intently on the future. At 33, Siskel is the Field's youngest-ever director of exhibitions and education. A graduate of the Kellogg School's part-time Managers' Program, she deserves much of the credit for a string of popular recent exhibits at the museum, including Chocolate, Pearls and Baseball as America. But it is her latest coup that has caused much of the art world to sit up and take notice. After two years of quiet negotiations with the Chinese government, Siskel will bring hundreds of rarely seen treasures from Beijing's Forbidden City to the Field next year. The show is expected to be one of the hottest tickets of 2004, with institutions around the country lining up to host the exhibit after its Chicago run. For Siskel, the exhibit will be the culmination of a long-held dream. "China is one of the world's oldest cultures, with an element of mystery to it," she says. "The Forbidden City is a world of mystery within a world of mystery. To reveal the history and artifacts of this place to a broad audience is very much in keeping with the Field's mission." And with Siskel's as well. Her many years of service in Chicago's art world are testimony to her desire to bring the world's most treasured artifacts to a local audience. Before she joined the Field, Siskel served as an assistant curator at Chicago's Museum of Contemporary Art. Prior to that, she helped coordinate the Art Institute of Chicago's smash Claude Monet retrospective in 1995. 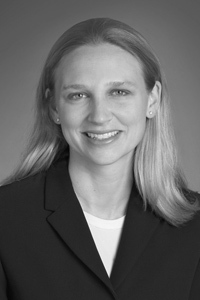 In addition to her Kellogg School MBA, Siskel holds a master's degree in art history from the University of Chicago. She lives in Evanston with her husband Jonathan, a television director and producer, and their son Nathan, who was born in February. Her interest in art was forged early, through exposure to both her parents' careers. Her mother is an anthropologist, and her father is an architect who often brought Siskel to his job sites. Siskel once thought she too would pursue a career in architecture. Her early studies in economics, however, convinced her that a career that melded both art and business would better satisfy her nature as a "puzzle-doer." "I love to figure out solutions to problems and see how all the pieces fit together," she says. In 1996, Siskel turned to Kellogg to bolster her skills in museum management. "I wanted to learn more about budgeting, looking at balance sheets, speaking to boards of directors," she recalls. "I really made myself focus on accounting and finance, because I didn't feel I could get that knowledge out of a book." That knowledge came in handy when Siskel joined the Field Museum in 1997, after learning about an opening from a contact she'd made through a Kellogg class project. As a special-projects coordinator, she created a strategy to analyze the financial viability of each potential exhibit to ensure the museum broke even each year. Before her tenure, museum administrators had used more subjective criteria in determining which exhibits to stage. Siskel moved up quickly through the museum's ranks, assuming her current post in 1999. And for that, Siskel says, she has Kellogg to thank. "I probably would have been fine if I'd just had the art-history background," she says. "But I would not be in the place I am now without my Kellogg degree."